Northwind Mooloolaba Resort Apartments have long been one of the Sunshine Coast’s premier holiday accommodation venues, located at beautiful Mooloolaba Beach. 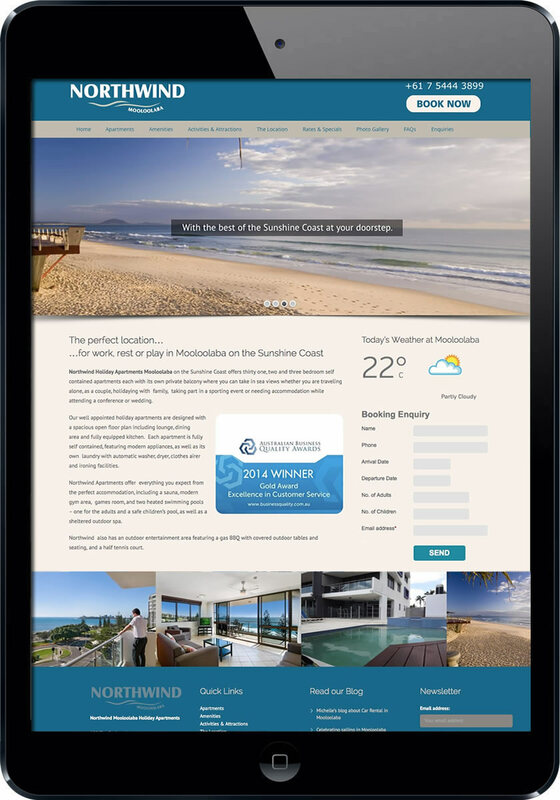 Smartfish have redeveloped their existing website to give a fresh new mobile-responsive design including online booking enquiry system to allow easier access to information about the accommodation and surrounding Mooloolaba Beach, including attractions, tours, etc. The developers at Smartfish have long been established as one of the leading Sunshine Coast tourism web development creative agencies, working with a number of tourism services in Mooloolaba and across the Sunshine Coast, including development of the popular Visit Mooloolaba tourism directory. Mooloolaba’s tourism website design specialists. 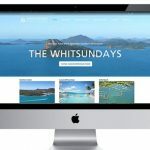 We’re the experts in Sunshine Coast tourism website design and online marketing.